Two examples of complete lack of interest in the words. 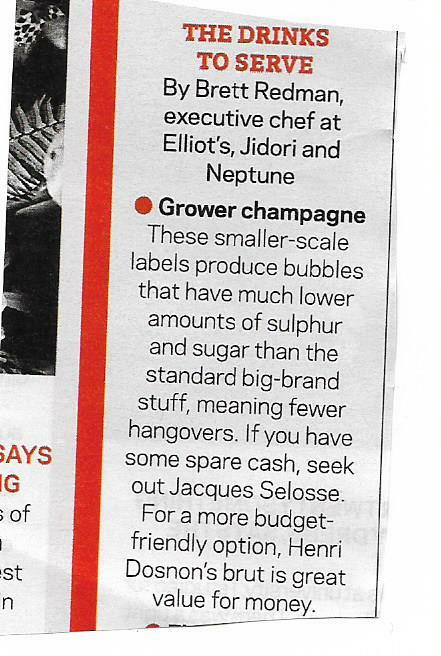 How can you have a piece about expensive and good-value champagnes without quoting prices? It is meaningless. As for Federer and his twins – how can you say that one pair are identical and not specify whether the others are or not? (They aren’t – all you need to do is look at a picture.) One of the arts of subbing is not leaving the reader asking questions.